We will start this shift in our investigation by designing -during our international workshop-, a hotel capable of accommodating the unpredictable wishes of each of its guests. The purpose of this workshop is two-sided: on one hand, we want to focus on the feasibility of the Wegocity project previously described by exploring it in more detail. More direct. With clear constraints, a bed, a chair, a toilet and a shower. On the other hand, we want to test its capacity to evolve over time. The project is interested in finding intelligent and innovative solutions for ever changing environments and maximum customization within a very constrained envelope. The constructive solutions for facilitating change will be part of the core of the proposal. The Wego Workshop will challenge students to reflect on the problematic of maximum desires and maximum density. 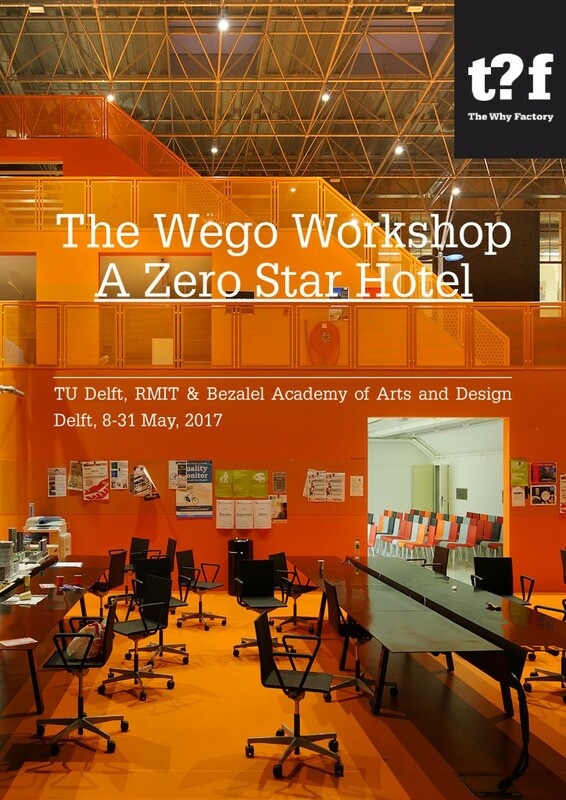 From averages to extremes, from boring to diverse, from easy to weird users, we want to develop design solutions that go from egoism to wegoism within a small zero-star hotel. What sort of organizing principle is needed in order to accomplish a 100% occupancy based on the ever changing demands of low-, mid- and pick- seasons? How can time be taken into account to use the maximum potential of space resources? Can we think of game software that is able to accommodate spatially different modes of accommodation? The zero-star hotel is a predefined envelope where several rooms are able to accommodate specific and ever changing wishes for each of its user(s). It is a place that is able to customize on demand and almost in real time the wishes of its guests taking into account the availability of space and how the rooms connect and intermingle with each other. The hotel configuration does not have anything fixed except for its envelope. During times of full occupancy the hotel is able to accommodate 24 rooms, whereas during low season it should offer at least 6 rooms to choose from. During the periods of lower occupancy, the hotel design should immediately take advantage of the space available and seek for zero vacancy, by means of offering more attractive and spacious rooms. This means that all rooms should be able to expand and compress in order to accommodate the guests’ demands. Different times of the year show increasing or decreasing demand of occupancy allowing multiple configurations. Moreover, users will be able to customize their room, impacting therefore the neighbouring room configuration.